FAQ - Castle Surveyors Ltd.
Use the answers below to help you understand some common points raised in the reports we undertake and to, hopefully, help address particular concerns/questions you may have. If, after you hare read the questions and answers below, you cannot find the clarification you need then feel free to phone us for more information on your particular query. I have had a mortgage valuation so why do I need another valuation in the Homebuyer Report? The Mortgage Valuation will be provided by a Registered Valuer and whilst two different valuers should be similar in their opinion, that is not always the case as there is a ‘margin of error’ which can arise in an opinion of value. In addition it may be that the Homebuyer Report, as it’s a more detailed inspection, identifies defects that the Valuer (Surveyor) feels needs to be reflected in the valuation, whilst some lenders may have lending requirements that do not ask the Valuer to do so. Furthermore having an ‘independent’ report with a valuation can help in later negotiations should they arise as you can use that information to open discussions on price, which can ultimately potentially help save money. I have had feedback from many clients following Homebuyer Reports, along with the subsequent advice on how to negotiate I provide following the survey, who have told me that they have saved Tens of Thousands of pounds off their initial purchase price. So I’ve booked my survey, what should I do next? The first thing to remember is that the survey process is a ‘team’ effort, i.e. you and your surveyor working together to ensure you find out what you need to know within the parameters of the survey type you have requested. Once the surveyor is appointed, you should notify your Estate Agent or Vendor and give them the name of the Surveyor/Company you’re using. Tell them the Surveyor will be in touch to arrange access and ensure you highlight to them that you expect your Surveyor to be able to do their job without restriction or interference. For instance tell them to ensure doors and windows are unlocked, access is available to the garage, roof space, etc…. and tell them that you would like your Surveyor to be provided with every assistance. The Surveyor will make direct contact with the agent/vendor to confirm appointment dates that fit into their own business schedule (this avoids you having to do so and ensures that appointments are confirmed correctly). You should receive your report within 3 working days for an RICS Homebuyer (level 2) Report, or within 7 days for an RICS Building Survey (level 3) Report. Once you get the report read all sections and ensure you discuss any points as necessary with your Surveyor. If you are unsure of something ASK! If you spot a typing or other error, highlight that to the surveyor to correct or explain. A copy should be forwarded to your legal adviser and you should highlight to them any areas of concern, asking them to read the report and section I in particular. POINT TO NOTE: Your Surveyor is working for you, others involved in the process are not necessarily doing so and in particular the Vendor’s Estate Agent and/or Vendor. Those with a vested interested in the sale proceeding, i.e. anyone receiving a fee upon sale, is most likely working for others and may try to influence your decision (even try to discredit your surveyor). Be careful of such tactics and always discuss such matters directly with your surveyor. He/She is on your side! If your survey report highlights limitations, such as a lack of access, or something not inspected, see that as a positive statement and as your surveyor telling you that their inspection was restricted in some way. If that occurs, you should ensure you investigate those areas before legal commitment to purchase to ensure nothing is lurking in hidden areas. Your surveyor will have asked for access to be provided, but in any event the Estate Agent knows what access is required so should make it available on the date of inspection. If it is not, then unfortunately your surveyor may not be available quickly to revisit (due to other commitments) and/or may need to make an additional charge to reinspect the property. This is rare however, but remember a surveyor’s fee is based upon time spent doing a particular job, as such if for no fault of their own they cannot complete it, then it is not unreasonable for them to ask for an additional fee. If that occurs, you should discuss this with your surveyor who will provide you advice, such as ask the agent to pay and/or get a reduced sale price to cover the cost. As I say though, this is a very rare occurrence. My neighbour wants to undertake works to his property, i.e. build an extension and increase the value of his house, and requires access over my land to complete the works. He needs to install a scaffold on my land. Do I have to allow this or not? Can I charge him for providing access? Simply speaking no you don’t have to provide access to anyone onto or over your land (albeit there may well be exceptions to this such as Crown access, law enforcement, utility providers, etc…) and each case should be considered on its particular merits. There is provision in law for a neighbour to gain access to undertake works to his property over another’s land, e.g. the Access to Neighbouring Land Act 1992 which provides access for certain reasons. The felling of a tree, plant or hedge (or parts of it) which have died, become diseased or which have become insecurely rooted and unstable which is likely to pose a danger. As a ‘rule of thumb’ the works required must be to ‘preserve’ what exists rather than to ‘improve’ it. As such if your neighbour’s works are to extend their property and increase the value of that property by completing the works, then this does not prima-facia appear to constitute preservation. As such you may be entitled to charge them for providing access over your land. You may have what is colloquially known as a ‘ransom strip’, i.e. you have a strip of land (which could be merely 150mm wide say, which another requires to undertake development. A precedent case on this subjet was Stokes v Cambridge 1961 where the Courts determined that a reasonable charge to grant access was 30% (one third) of the uplift in value. So by way of an example. Uplift in value as a result of the development (ignoring costs for this example), £50,000. Potential share payable for granting access £16,500. It’s worth noting though that this is a very complex area of property law and you should seek advice from a Surveyor before opening negotiations with a neighbour or developer in such a situation. There’s also much more to consider, i.e. what happens if the developer/neighbour causes damage to your land/property as a result of their works? How do you protect yourself in that respect, these and other points will be considered in later articles. You say that you can negotiate on our behalf, why would we want you to do this and what’s the potential cost? A survey report is a fantastic independent negotiation tool, bearing in mind that it can highlight defects you weren’t aware of when you made your initial offer. In this eventuality you may wish to try to renegotiate the purchase price with the Vendor to reflect defects found/updated information provided in the report. Some people find this aspect of the property buying process VERY STRESSFUL and would prefer not to have to go through it. As we have been involved in buying and selling properties, throughout the UK including Multi-Million Pound transactions with some WORLD CLASS negotiators, we are experts in getting the best deal and would be pleased to provide a quotation to take forward the negotiations on your behalf. However there’s no guarantee of success and it’s also important to note that the purchase could be at risk if you push too hard on price, particularly in high demand locations and/or market conditions. However that said, if you feel there’s a chance of obtaining a reduction, then why not try. Your Initial offer (prior to and subject to survey) say £100,000. Your revised position say £90,000 (target level to be negotiated by us). Assume we achieve a purchase price of £95,000. Fee payable would be (higher of £500 plus VAT or 25% of saving achieved), so in this case as the saving was £5,000, the fee payable would be 25% of £5,000 (i.e. £1,250 plus VAT), less the retainer of £500 plus VAT) leaves a fee payable upon exchange of contracts of £750 plus VAT. Our minimum fee of £500 plus VAT is a retainer payable in advance of negotiations commencing and is non refundable, this increases dependent upon the numbers involved, but is a maximum of £1,500 plus VAT in any event. The fees and terms would be provided for your agreement in advance of a negotiation commencing. If you wish to take advantage of this additional service, simply call us on 0800 246 1002 or email enquiry@castle-surveyors.co.uk to find out more. The Surveyor refers to FENSA, what does that mean? In a nutshell, where a window is completely replaced in certain buildings after 1st April 2002, FENSA compliance satisfies the requirement to obtain Building Regulation Approval. Windows and doors in critical locations ie windows below 800mm from floor level and doors where the glass comes within 1500mm of the floor level to the start of the glass must contain safety glass (toughened or laminated) and must include the relevant safety mark clearly visible to comply with Approved Document N.
The Surveyor surveying my property today for an RICS Homebuyer Report, i.e. that I’m selling, was unwilling to tell me if there are any problems I should be concerned about, is this normal and why not tell me? The rules under which Chartered Surveyors work are very strict and Surveyors are not officially allowed to tell vendors whether a defect is present or not. This is, in part at least, due to the fact that the vendor has not paid for such advice and the surveyor could be opening themselves up to litigation action from the vendor if they mention something, but neglect to mention something else. Additionally it would be unfair for a Surveyor to tell the vendor about possible defects found on the survey before they have actually told there’s client. But there’s more. For instance imagine a Surveyor’s client wants to pretend the Surveyor said more than they actually did (not something the Surveyor would countenance I’m sure) which is the purchaser’s prerogative should they choose to do so, then it would be wrong for the Surveyor to undermine that negotiation tactic by informing the vendor that there are no defects. There’s still more. The Surveyor most likely has never met or worked for their client before. As such how do they know what that client would consider serious? For instance a chap once said he was going to walk away from a £700,000 house because it had a couple of missing roof tiles, whilst another client wasn’t too bothered about the fact there were large cracks in the building and movement may well be ongoing. The point being that the Surveyor is not able to judge and should not preempt what their client may or may not consider serious. As such it is the unwise Surveyor who states that there are no defects or otherwise informs a vendor before he/she informs their client. Artex is a generic trade name (there are others which include: Wondertex, Suretex, Newtex, Pebblecoat and Marblecoat) and this in particular has over the years come to be used to describe all thick plaster-like paints that were used to create decorative mostly textured type effects and is commonly found on ceilings, although it is often present on walls too. Within the construction trades and often within survey reports these coatings are referred to as textured type coatings and the non-asbestos versions are still used in modern properties. Up until 1984 the manufacturers (or even those installers using the material themselves) may have added small amounts (3-5%) of Chrysotile (‘white asbestos’) to the paints/coatings. The Asbestos fibres gave the material additional strength and consistency along with making it much easier to apply. It’s worth noting that there may well be instances, for example contractors using up old stocks or supplies, that some Asbestos may be present beyond 1985 say, even possibly into the early 1990’s (albeit the risk is less as time passed). There are no overwhelming safety reasons to remove Artex because, if undamaged and/or undisturbed, the risk of Asbestos related diseases being contracted is low, however the risk increases should the material be worked, sanded, cut, damaged or is otherwise disturbed to release fibres and/or dust particles in to the air. As such if it is your intention to cause such disturbance, then it is best advice to instruct a Licensed Asbestos Contractor to undertake the works. More information is available on the HPA website at http://www.hse.gov.uk/asbestos/index.htm where you can find a wealth of further information. So to the question, would a buyer have to commission a separate inspection and pay for that, the answer is yes. A Homebuyer Report and/or Building Survey Report is not a specialist Asbestos report. The Surveyor may well make comment, based upon their experience and/or general knowledge about the potential risk and/or likelihood of a particular item containing Asbestos, but as no testing is carried out to be certain whether a product contains Asbestos or not would likely require sampling and/or testing, which is carried out by specialist contractors and may involve lab testing of the particular product. I am told, in my survey report, that the walls are Party Walls. What does this mean and how can it affect me? If you plan to undertake works on Party Wall you may be delayed as a result of consultations required along with incur additional costs as you may need to employ specialist Party Wall Surveyors and/or solicitors to assist you. Bear that in mind if you have plans to extend and/or otherwise undertake works. We’d be pleased to provide you with a NO OBLIGATION quotation to assist you with any party wall matters. I have had a survey completed on a house I’m buying and the Surveyor has found some defects, I’m probably going to pull out. The Estate Agents have asked me to give them a copy of the report, should I do so? This is a common request from Estate Agents in my opinion and I’d suggest not. Why not, well why do they want it? Remember the agent for the seller is exactly that, acting for the seller. The more information you provide them with the more likely they are to use it against you in negotiations. Okay you say, but if I don’t give them a copy then how can I prove that the Surveyor found defects? Simply give them snippets of the document (as long as your Surveyor is happy for you to do so, remember he/she likely still holds the copyright on the document). Progressing this way allows you to retain control of the flow of YOUR information. You merely give them the information they need, that way they won’t pass on the full survey report to the Vendor and as such won’t be able to pick out any good points the Surveyor has mentioned. Remember YOU HAVE PAID for the survey, not them. Remember all Castle Surveyors Limited reports are copyright to us, as such sharing without our express written permission with anyone other than your professional advisers assisting with the purchase, is not authorized. I’m in the process of buying a new house and wondered when I should instruct my surveyor to undertake the inspection of the property we’re buying? Our buyer hasn’t, as yet, had their survey done and I didn’t want to spend my money unless/until I know the sale will proceed, what should I do? This is always a tricky one, like what comes first the chicken or the egg? In a nutshell there are various factors to consider, including what is happening in the property market, i.e. do you need to move quickly as prices are rising or wait as they are falling (can impact you both ways, i.e. the sale price of your home reduces as well). If you are able to hold off (and don’t be put under pressure from the Estate Agent, their job is to sell the property as quickly as they can to get their fees) and if you can make sure that your buyer has surveyed your property and that they are still willing to proceed. It’s worthwhile, in advance, getting some quotes from surveyors and having someone lined up to go when you are ready, but hold off if you can from instructing them to make sure that your buyer is going to proceed, otherwise you could spend money on a survey only to find that your buyer pulls out and you can’t move, wasting the money you’ve spent. It’s also a good idea, again if you can, if you’re buying a leasehold property and in particular one where you want to do something (alterations say) or where they may well be restrictions which would make you pull out (such as a restriction on sub-letting say) to get the legal done first (or at least as much of them as you can without spending too much). You could ask your lawyer to do a quick review and highlight potentially onerous clauses before you go too far down the line. To summarize then, you should not spend your money on surveys or anything else unless/until you are as confident as you can be that the sale of your own property is going to proceed and that the legal aspects (in particular if leasehold) have been quickly examined for potentially deal breaking clauses. Get your surveyor lined up and primed for action and be ready to go quickly once the time is right. The report highlights dampness in the walls and possibly the floors, what should I do next? Unfortunately, on occasion, the Surveyor may not be able to confirm the extent of a particular defect, in particular if fitted floor coverings or other restrictions prevent him doing so. On these occasions reference to further inspections may be necessary so as to fully confirm the extent of the defect and its cost of repair. All investigations and reports should be obtained in your name or the benefit of them be transferable to you as a new owner. The reason for this approach is that 1) You can ensure that the investigations/works are carried out properly to your satisfaction, and; 2) should something arise as a result of the works, you may have the ability to claim against the contractor who undertook the works/investigations. The report refers to there being a “higher risk of flooding, landfill, historical land use, ground related movement” etc… in or close to the subject property. Does this mean the actual property is affected? Not necessarily. There’s a wealth of information available now on the internet in respect of such matters and as such it’s only right that the Surveyor should highlight potential risks for you to consider, remember everyone’s attitude to risk is different and whilst some people may not be overly concerned, others may. It’s also worth noting that just because a particular property isn’t affected by say flooding, if the surrounding area is then you as occupier may well be inconvenienced as a result and/or local amenities may not be accessible for a period of time. Flooding can affect a wide area. It’s also worth remembering, flooding isn’t only related to the sea or rivers. Localized flooding can occur on a sloping site during heavy rainfall and/or be caused by higher ground water levels or surface water drainage being poor/blocked. The valuation is lower than I anticipated it would be, much less than the initial asking price, why is this and what can I do? The initial asking price is a number derived from who knows where and has no bearing whatsoever on the market valuation. This ‘Anchor’ as it is sometimes referred to, could have been created by a Vendor wishing to push the boundaries, an Estate Agent who wishes to get some advertising in a particular street/location, or in fact created merely to try to push the sale prices up in a particular area. As a valuer the initial asking price is not relevant. A Valuer will use his own expert judgement, along with comparable sales evidence in the area to arrive at his/her opinion in respect of the market value. It’s worth noting the use of the word “opinion” as that is exactly what it is, i.e. it’s a Valuer’s opinion and not a scientifically arrived at fact. Therefore if you believe that the valuation figure is incorrect, you can supply some evidence to support your opinion and the Valuer will consider that and may, rarely, change his/her opinion. What should you do if the Valuer does not agree with your particular purchase price? Well firstly you can try to negotiate with the Vendor to obtain a lower purchase price, highlighting that a Professional Valuer’s opinion has been obtained and as such you feel a reduction is required. The Survey report mentions that trees overhang my property and this could be a problem, why is that? Overhanging trees can cause a variety of problems including increased maintenance costs if gutters and downpipes become blocked, along with there being a higher risk of injury to occupants and/or damage to building/grounds as a result. Damage can be caused by falling branches, along with tree root action. IT’S NOT only during dry periods that tree roots can cause damage. 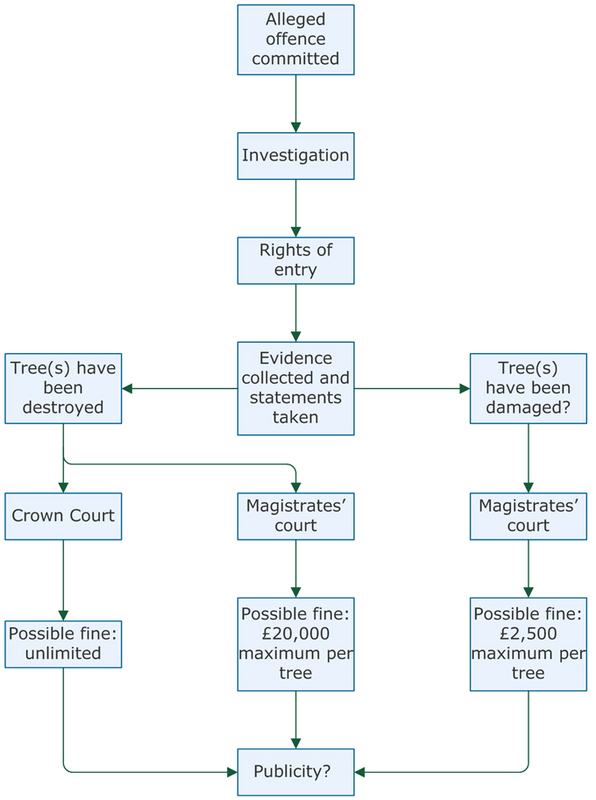 The tree actually belongs to the neighbouring property and as such if you cause damage and/or cut the tree, you may be liable for a claim made by the neighbour, for instance theft if the cut elements are not returned (always seek legal advice before undertaking works to neighbouring trees and/or get the written permission of your neighbour first). The Survey report mentions that there may be Asbestos materials present, what should I do? Asbestos materials can be present anywhere in theory and have been used in buildings for many years, albeit over recent decades they have been phased out and/or made to be less dangerous to health than in the past. We have also provided more information to help you understand the risks and responsibilities, a copy of this guidance is available here: ASBESTOS GUIDANCE You should note that if the Surveyor has mentioned Asbestos then there may well be more materials in the property, possibly hidden from view or otherwise disguised (for instanced painted), as such once found then you should suspect it to be present elsewhere. Remember also though, if the material is undamaged and adequately protected/sealed, the risk to health is minimized and licensed contractors can suggest various remedies to make the material safer. What happens if I’m not satisfied with the service provided? This document is the document you agreed to be bound by when we agreed terms & conditions and clearly explains the next steps. Please remember we always strive to provide excellent levels of service and if you feel we have fallen short, we’re keen to work with you to resolve your concerns. However it’s also worth remembering that we are working within our agreed terms and the limitations of the particular inspection, so just because something may appear not to your liking, doesn’t necessarily mean it’s a reportable defect. In addition builders quotes for works required are not the only acceptable proof, we’d need you to obtain professionally qualified opinion on the alleged defects, to enable us to fully consider the situation. Complaints are the exception in any business and usually resolved without the need for legal action, however once a complaint is made then a legal process needs to begin and whilst our responses may seem overly formal we are obliged to follow a process and this can be complex, costly and potentially stressful for all involved. Whilst this process is ongoing, the onus is on you to mitigate the situation and ensure that damage does not occur as a result of waiting for the process to complete. Updated on 2018-08-06T14:01:05+00:00, by Castle Surveyors.